Maybe you do need to recline after a hard day of work in your garden, but something like David's portrait of Madame Récamier's Directoire sofa may be too impractical for the outdoors. 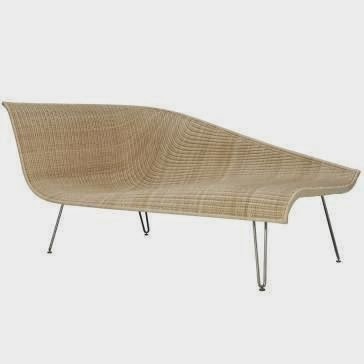 Well, Janus et Cie to the rescue! The Avanda recamier is made of weather-resistant powder-coated steel and woven synthetic fiber so you never have to worry about your récamier getting damaged by elements.